Market trackers and retailers expect the brand to grow as Reliance Jio Infocomm approaches the commercial launch of its 4G services, widely expected to be in December. In a move aimed at beefing up the reach of its Lyf branded phones, Reliance Digital is talking to the likes of Croma and The Mobile Store. 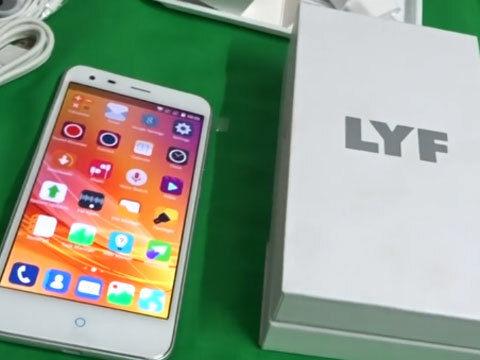 The Lyf branded phones are yet to make a mark among the public despite having shipped in huge numbers since launch in January. Lyf is currently available in the large format stores of Spice Hotspot, Sangeeta Mobiles and Universal, which have a presence mainly in south India. According to data from January to May, consumer searches for models from the likes of Samsung, Apple, Micromax, Xiaomi and Lenovo that had comparable specs, features and prices as Lyf, still held sway. Reliance Digital, a retail arm of Mukesh Ambani-owned Reliance Industries, has launched around 10 Lyf branded smartphones priced between the Rs 5,000 and Rs 20,000 since late January this year. Counterpoint Research and Cybermedia Research peg Lyf as the No 5 smartphone brand with 7 per cent and 8 per cent share respectively, by volume shipments for the quarter ended March 2016, having shipped nearly 2 to 3 million units.